Superior quality automotive glass comes with qualities of comfort, safety and security, along with paying heed to an area’s climatic conditions. Impala Glass Industries leads East Africa in manufacturing a range of high quality, competitively priced automobile glass. Being a local company it understands the vehicle and terrain needs of the East African region. Leading the list of features essential for good quality automotive glass is the clarity it offers to the driver's field of vision. This is influenced by the light the windscreen allows into the cabin. Anti-reflective glass used in Impala’s automotive glass is treated with a special coating which reduces reflections by up to 40% at a reflective angle of 60 degrees, and also helps reduce glare. In case of rain, Hydrophobic glass which comes with a polymeric layer that repels water, causes rain or other water to run off the glass without leaving droplets. 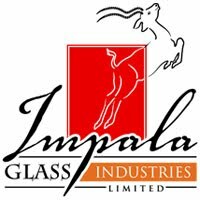 Impala Glass Industries produces laminated glass made by two glass sheets with a thin but tough plastic layer in between. The layers are bonded to each other under controlled heat and pressure. In case the glass suffers an impact, the glass layers may fragment but the plastic inter layer holds. This safety feature enables the vehicle to absorb some of the energy of the impact. It helps to prevent the ejection of the driver and passengers and the penetration of objects in case of an accident. On impact the resulting glass fragments remain attached to the plastic inter layer, attempting to prevent sharp projectiles during an accident. The windows made of laminated glass stay in their frame letting the side airbags do their job, providing the necessary support during inflation. Laminated glass is very difficult to break into--it takes 10 times as long to penetrate a car window made of laminated glass than one made of toughened glass. The UV (ultraviolet) filter glass protects the skin, eyes and the car's interior from 95% of harmful UV rays from entering the vehicle.